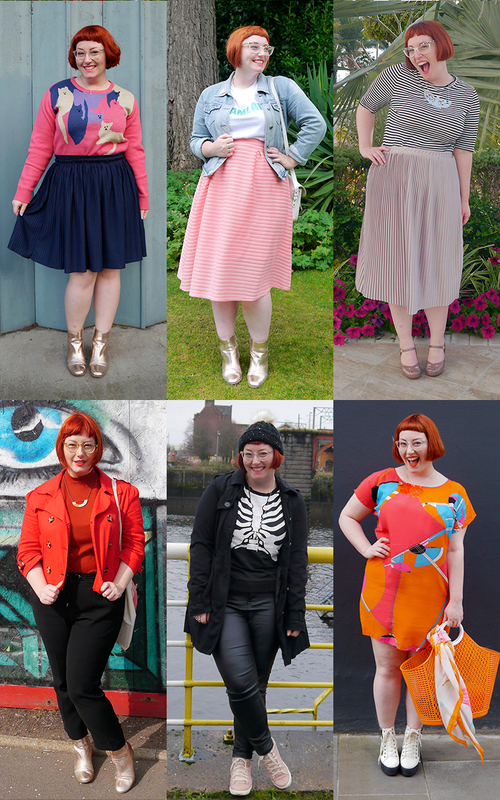 I wrote in my 2016 Helen outfit round up post that the year was a transformation in colour. It built on the 2015 outfit round up, showing a real growth in confidence and accessorizing. 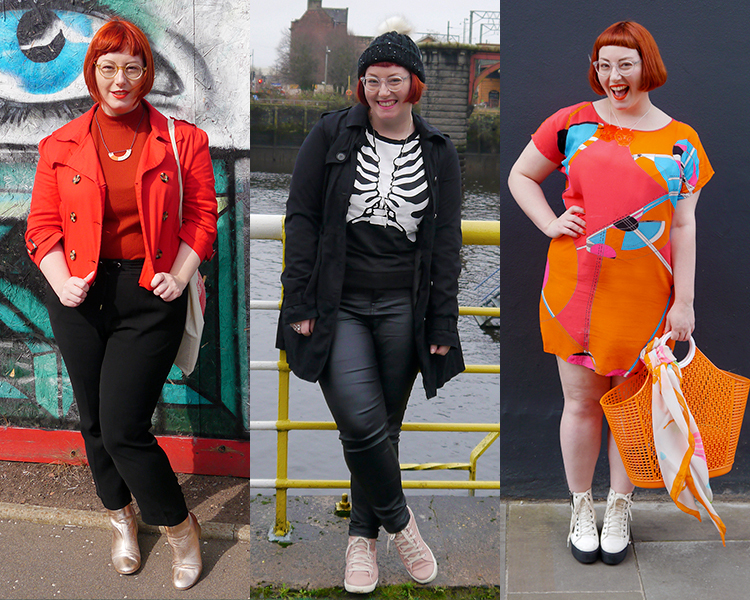 In 2017 we admittedly did far fewer outfit posts but there are 2 looks Helen has consistently gone for. I couldn't round up Helen's looks without featuring some cats. She loves 'em. And I love this jumper. It's more like something I'd wear, with it's pink and pastels, and it's 80s-esque motifs. It's probably the only cat accessory I'd be willing to be seen in. I'm liking the level of detail in this outfit, down to the matching nail colour, which I've noticed across this year's posts. Maybe I should be calling 2018 the year of pink for Helen, because she has slipped a lot of it in! I'm clearly working my evil on her. This candy pink skirt looks good enough to twirl in and I like the way Helen has pushed it away from Grease to modern styling by pairing it with a simple logo t shirt and denim jacket. I noticed that in the second half of the year, Helen has become very fond of piling on block colours to create a bold look- normally in orange! These gold boots seem to be her favourites, appearing in many photographs this year. 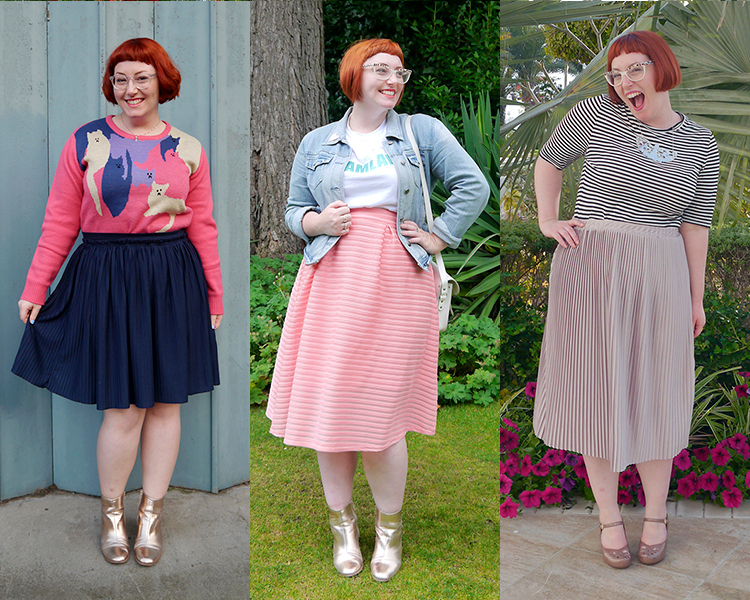 We are all about the #30wears here. Helen has a more macabre style than mine, with her love of horror and a fixation on body parts. I adore the skeleton top against the black back drop of the rest of this outfit, softening the look to remind me of Funnybones (the classic children's book series). Another orange outfit, this one was nearly my top favourite. The colour blocking is incredible, with the matching accessories. It isn't one I would wear myself but I love it! It also contrasted really well on the day with the black and neon base of my own outfit. This look is my winner because it ties together strong colour blocking and print. And I'm infinitely jealous of Helen having this shirt dress. I want it! 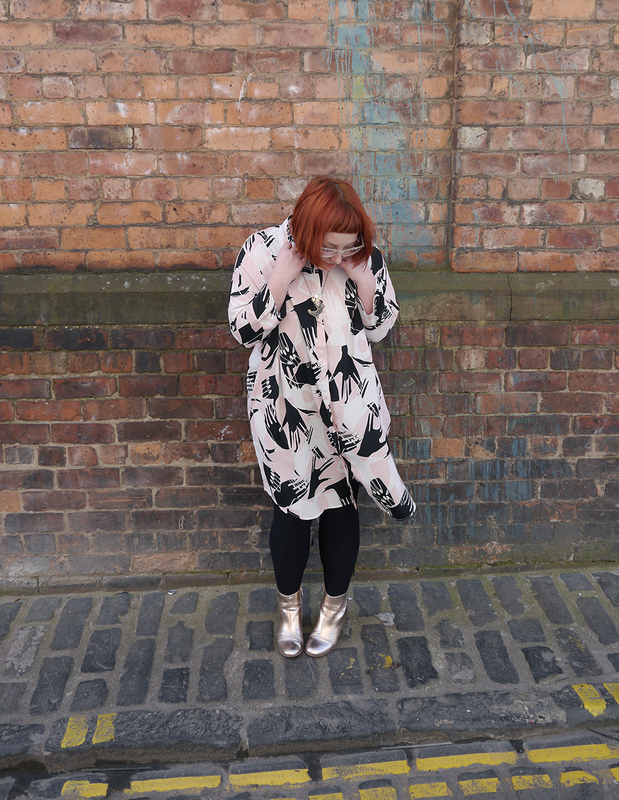 She wore it for a fun day out in Glasgow, where we ate cake with Sun Jellies and lots of lovely Glasgow bloggers, before getting a vintage makeover. It reminds me of this brilliant day together. Of course, I remember admiring this outfit at the time and thinking how effortless it was.